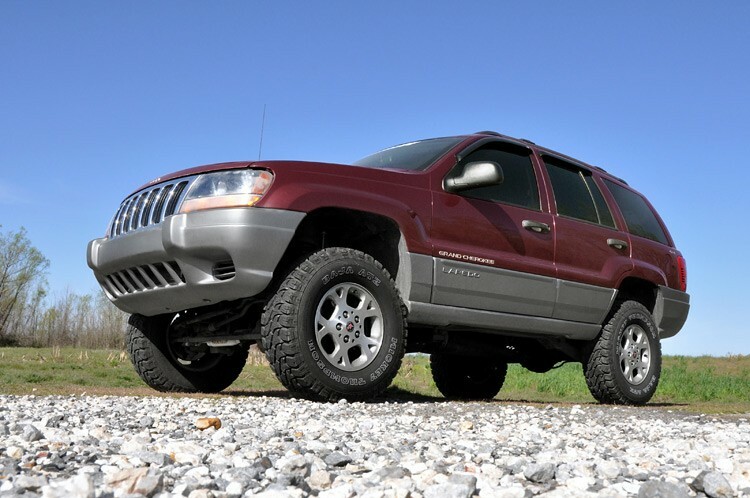 Despite its long-standing reputation as an off-road monster and the vast selection of mods available, the Jeep WJ has always been known to suffer in highway ride quality after lifting. 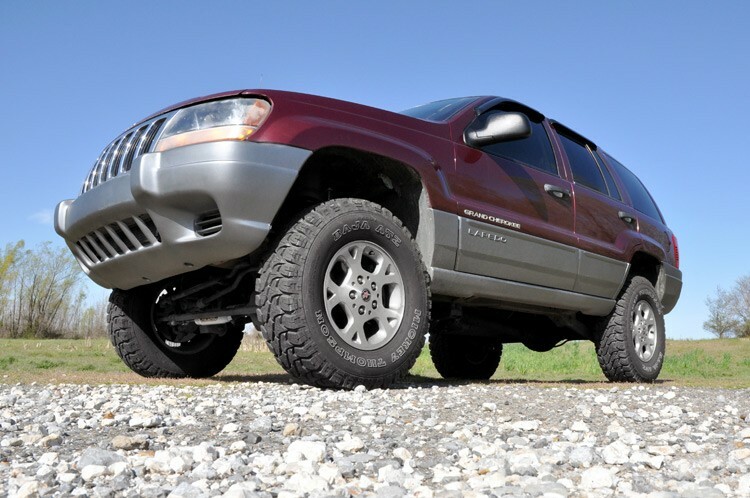 Many WJ lifts focus primarily on trail performance, but fail to take in account how the control arms and track bar will perform at their new, lifted angles in day to day driving. 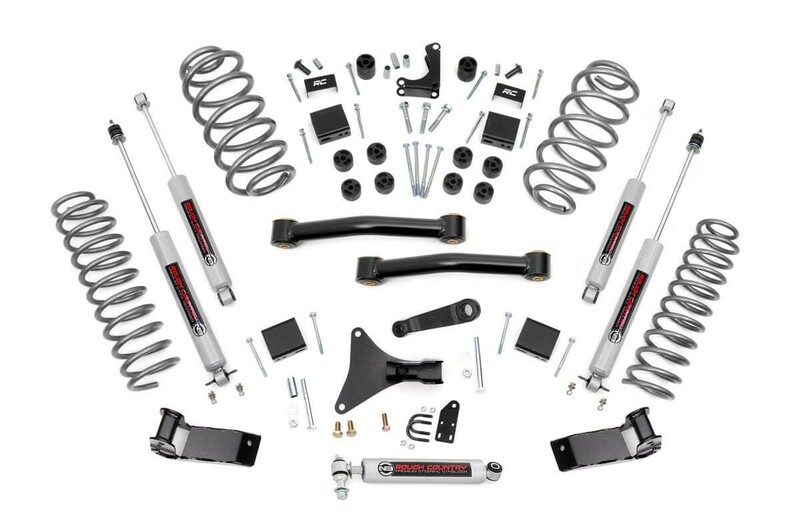 Rough Country's new 4-inch Suspension kit answers this age-old problem, delivering outstanding off-road action while providing an incredibly smooth highway ride. Featuring newly designed lower control arm brackets and a set of elongated, durable lower control arms with Clevite bushings, this new kit simulates the stock angle keeping your steering components under control. Lower control arms provide proper offset to allow for wider tires. Kit maintains stock alignment for precise high speed handling and proper caster/pinion alignment. Rear shock relocation keeps shocks clear from the tires.